Cross Country Wireless manufacture a HF Active Loop Antenna with a frequency range of 20 kHz to 70 MHz with extended coverage up to 148 MHz. The antenna can be used for all VLF, LF, MW and HF professional monitoring and short wave listening. 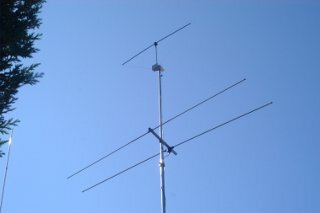 It can also be used for VHF FM reception and will give useful VHF airband reception when mounted outdoors. 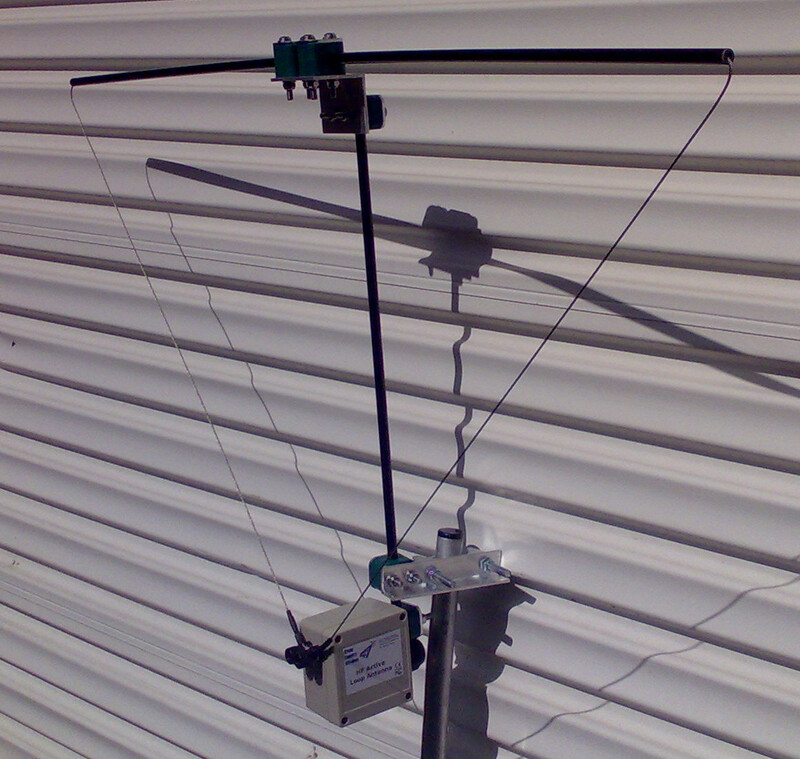 The antenna is a triangular loop antenna 2m (78") wide with a built-in low noise high dynamic range RF amplifier. A base unit allows 12V power to be fed up an ethernet cable feeder to the antenna. The antenna current consumption is 150 mA. The antenna is built from fibre glass and stainless steel with a polycarbonate box housing the amplifier. For outdoor installation a mounting bracket allows it to be mounted to a 50mm (2") pole using a clamp fitting or a 25mm (1") using a Stauff clamp for mounting on Clark Mast or Hilomast telescopic masts. A BNC female connector are used for the RF output port on the base unit. RF over-power protection on the antenna and the RF output allow the antenna to be used very close (>2m) to transmit antennas and tolerate accidental connection of a transmitter to the RF output sockets for a short period (150W for 30 seconds) without damage. The antenna could be mounted on top of a rotatable HF beam as a low noise diversity reception antenna. The antenna is supplied with 20m of ethernet cable and a mounting kit with fittings for mounting on 50mm (2") or 25mm (1") diameter masts. 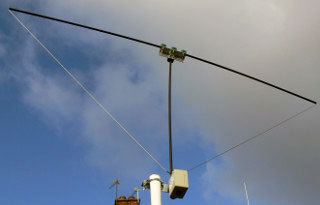 The HF Active Loop Antenna FAQs for the earlier version (200 kHz minimum frequency) can be downloaded here with a photograph showing the latest version of the antenna here . The PayPal button automatically adds 20% VAT if the buyer is in the UK or EU.